"No no! Don't touch that!" 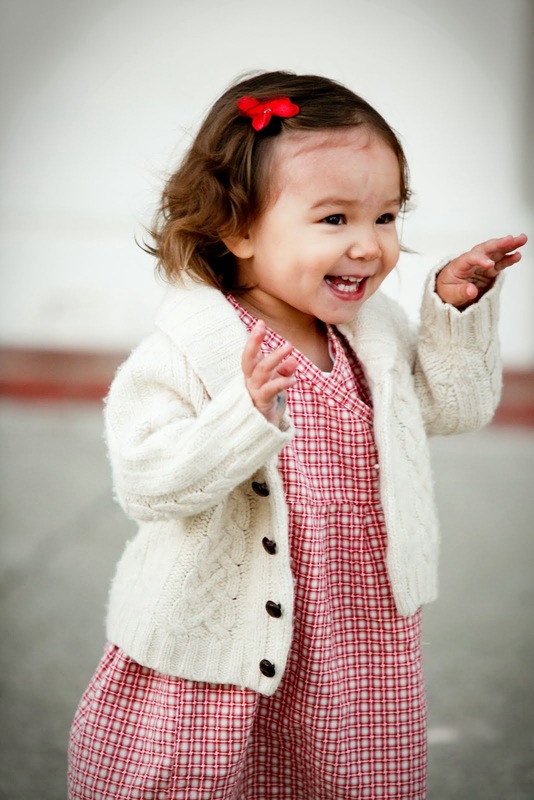 Alittle jumpy around scissors? The words "Toddlers & Blades" don't exactly go hand in hand. But instead of being scared all the time, why not just teach your little one how to handle them? Correctly of course. 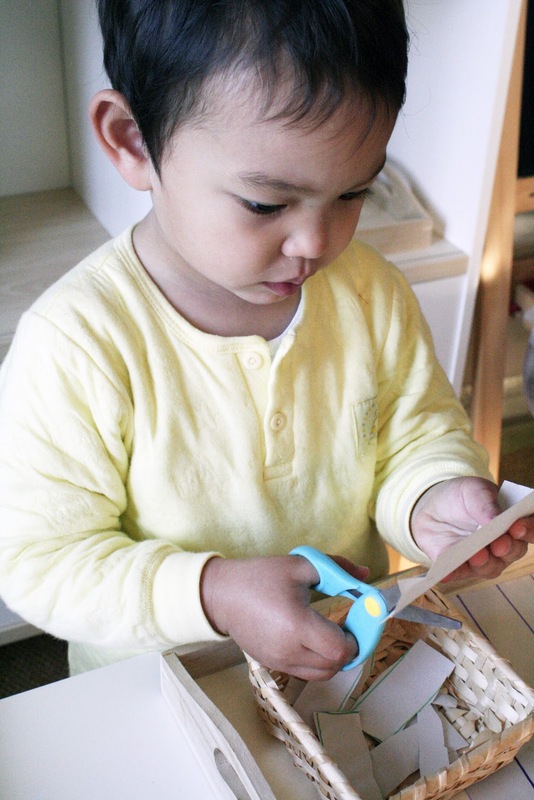 Zo actually showed interest in cutting alittle before 2.5, and was snipping at cracker packages already on his own. I thought to encourage him to practice cutting with this exercise. Those little grip muscles are actually pretty weak and the open & close action of the scissors can present quite the challenge for those tiny hands. 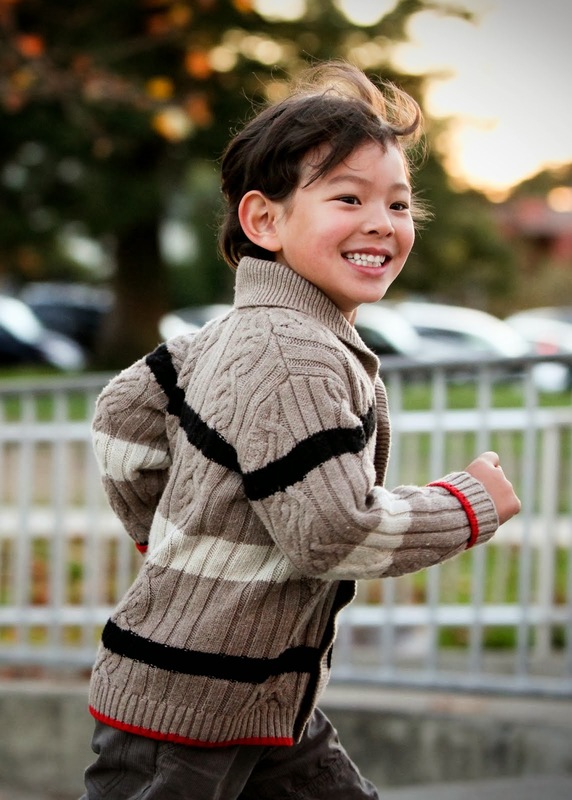 But man, how very PROUD he was when he learned how to do it...can't beat that glowing smile. 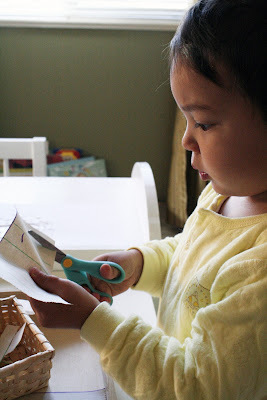 Strengthen pincher & grip skills using scissors. Build hand-eye coordination in cutting objects. 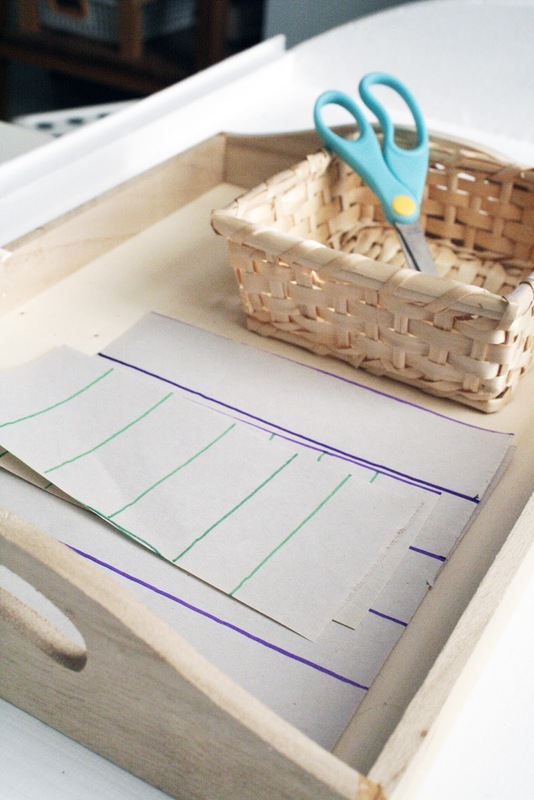 1) Draw a number of lines on the strips of paper, 1 - 2" wide. 2) Trace the lines with bare finger to indicate the visual cutting guide. 3) Hold the scissors in one hand, slowly, feed the thumb through the smaller handle, and the rest of the fingers in the other. 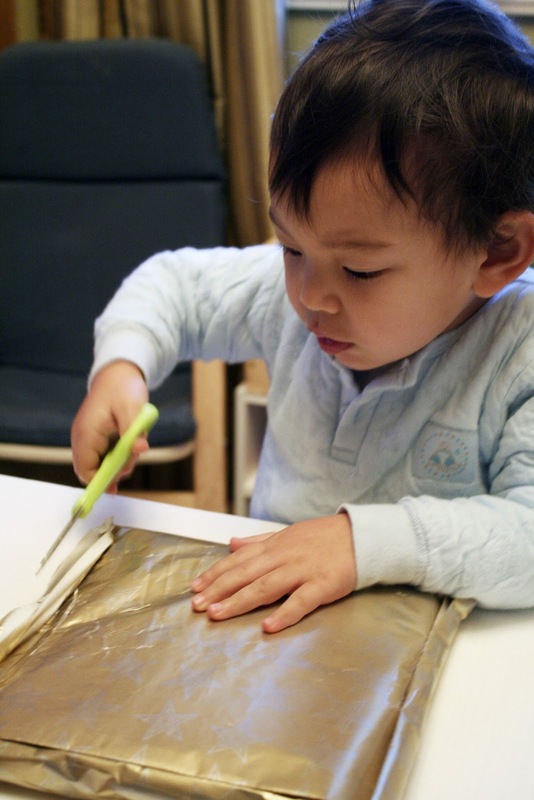 4) Begin cutting the paper into strips along the marker lines. 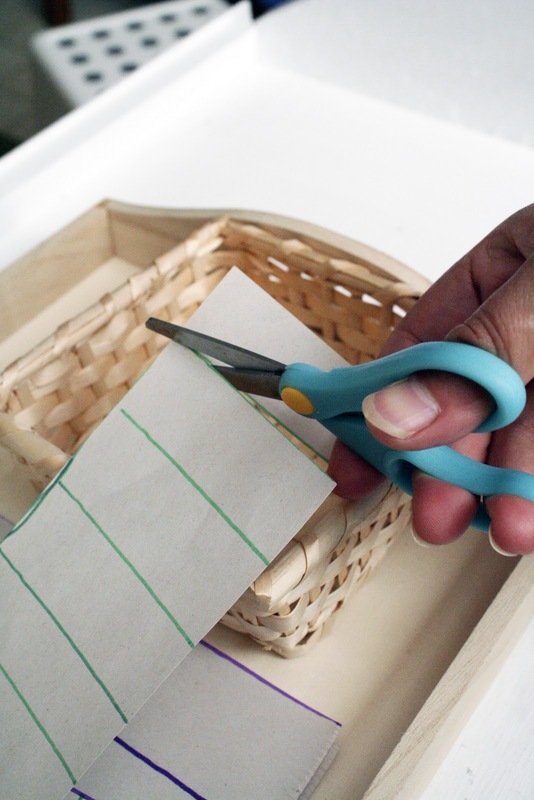 5) Allow the cut strips to fall directly into the basket below. Zo went straight to work on a new workbook he got as a gift. making a mess...the BEST part. The workbook session ended with Zo just shredding the worksheet. He worked hard on following the lines for the triangles, but found bliss just chopping everything up into confetti chop-Suey! Food Prep!!! 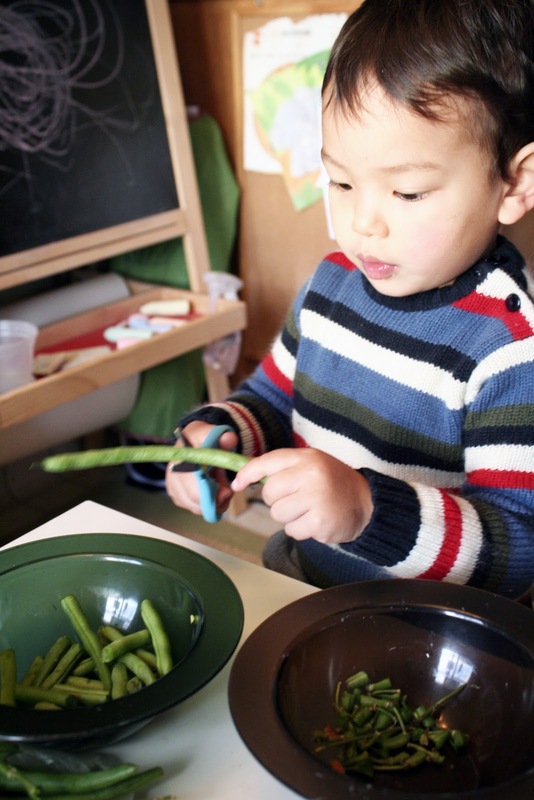 Scissors are one of my favorite kitchen utensils, a close second to my cooking tongs. 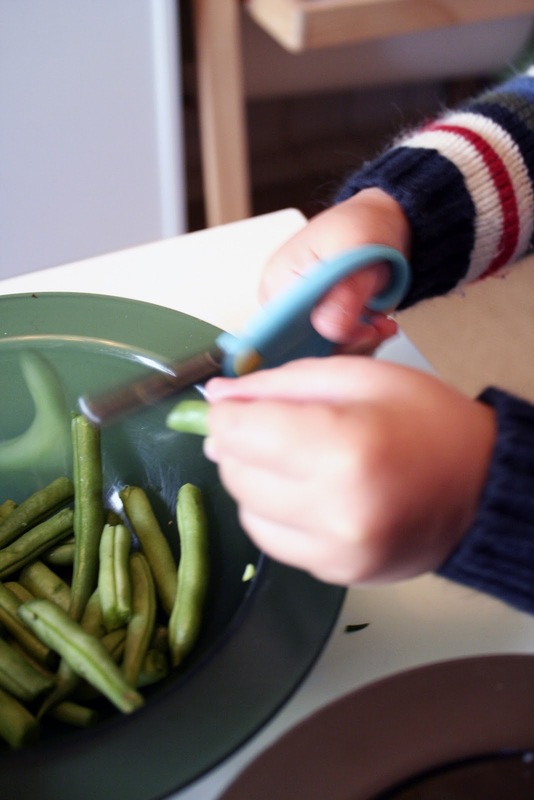 Preparing string beans for a stir fry is nothing with my handy snippers. 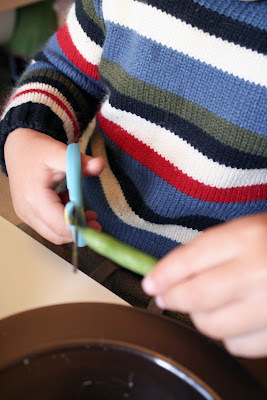 Zozie was on hand to help mama with this task... 2 Bowls, 1 Pair of scissors, a buch o'string beans. Have at it. A few days later...Christmas Morning. In fact, I have linked back to many of your posts!